Merlin's PlumpyNut Challenge was an experimental campaign aimed at challenging popular assumptions about fundraising. Deniz Hassan, digital marketing manager at the international health charity, wanted to prove that Twitter could be a useful fundraising channel and that a cold campaign could achieve a strong return on investment. Participants spent a day eating only sachets of PlumpyNut, a high-calorie, vitamin-packed peanut paste that Merlin uses to treat severely malnourished children. "The idea came from thinking about how we could link donors to the beneficiaries in an innovative way," says Hassan. "We wanted to get away from the standard international NGO messaging. We thought we would create empathy by putting donors in the shoes of the people they are helping." 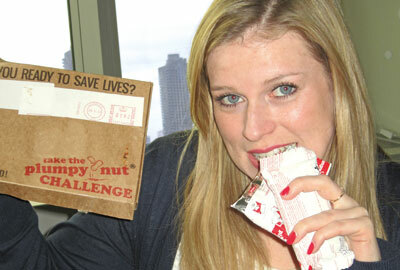 The campaign was promoted solely through the charity's Twitter feed, using the hashtag #plumpynut. Sign-ups were encouraged to tweet about the challenge as much as possible. "We wanted to take a risk in order to access a new audience, using a channel that the sector has traditionally been very quick to say is not useful for fundraising," Hassan says. "We didn't contact any 'warm' supporters; it was all cold. One of the popular misconceptions about fundraising is that you cannot get positive returns on cold campaigns - I wanted to prove that wrong." The campaign was launched in January and closed on 17 April. It attracted 579 participants and raised £40,000, beating its target of £15,000. It was produced in-house and cost £6,000. Hassan says the charity will contact the challengers in June about a campaign with a social, rather than financial objective. He says it will be aimed at engaging them in a different way from the traditional direct mail, email and telephone follow-up route. This campaign was strong because eating only PlumpyNut for a day engages people and makes them experience hunger and think about the issue. It used digital media well, with Twitter providing a viral aspect. But the aim of the game is to raise money and this campaign had some impressive metrics: 579 sign-ups and £40,000 raised for an outlay of £6,000. It's refreshing to see a decent stewardship with the plan to ask participants to take a follow-up, non-financial action. Payroll giving: a relic of the 80s?